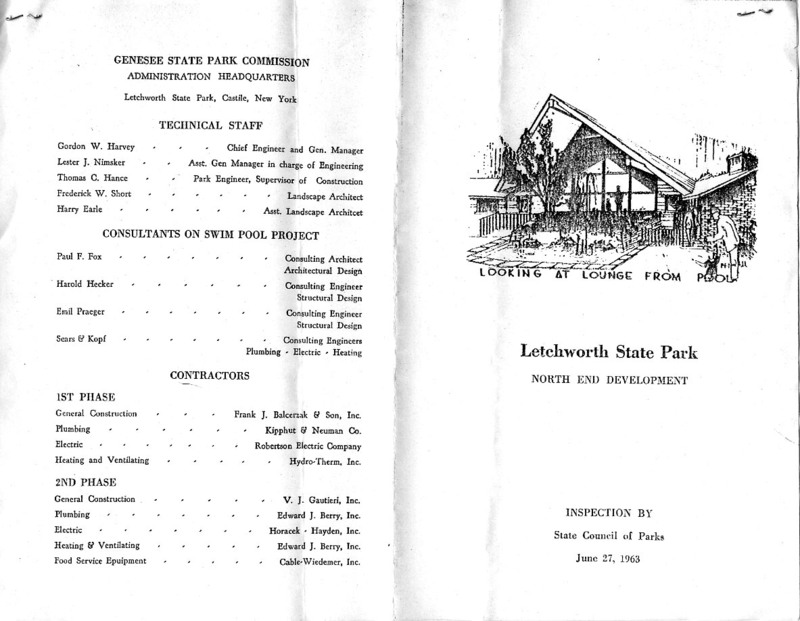 In June of 1963 the State Council of the Parks came to Letchworth Park to see the new construction at the North end. Proclaimed as a "park within a park" the large swimming pool and other facilities added a new dimension to Letchworth State Park. 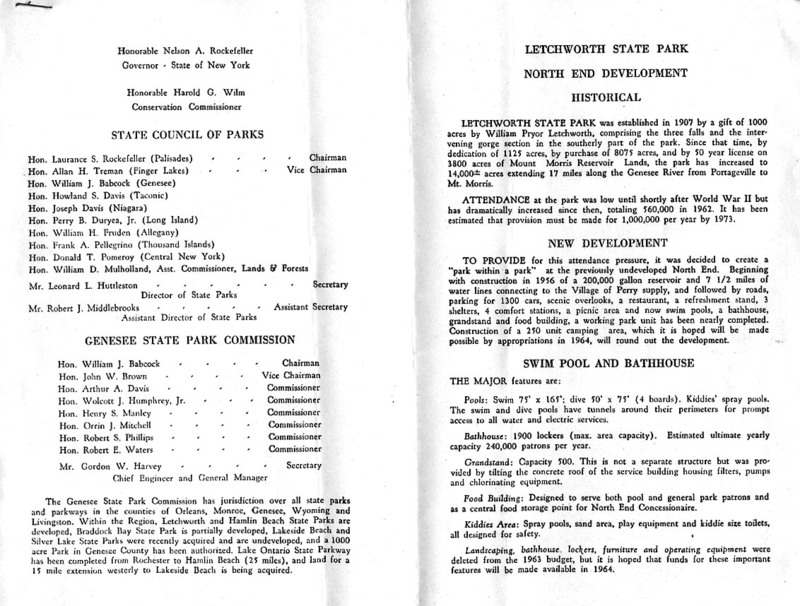 The four page program was probably created by Letchworth Park staff and handed out at the meeting. It documents an important era in modern Park history. The program has been enlarged so that all the text can be read - you will have to scroll to see all the pages.